Three years ago, the all new Maserati Quattroporte was let loose into the wilds of downtown parkways just in time to make brunch appointments. Initially the brand new 523hp, Ferrari made 3.8L TT-V8, RWD only Quattroporte GTS was the only option you could buy (the V6 models were produced later that year). This means the earliest versions of this limo all had a top speed of 191mph! For added context, the Panamera Turbo S was updated from 550hp to 570hp that same year, moving its top speed from 190mph (slower than Maser4D) to 192mph (faster than the Maser4D). 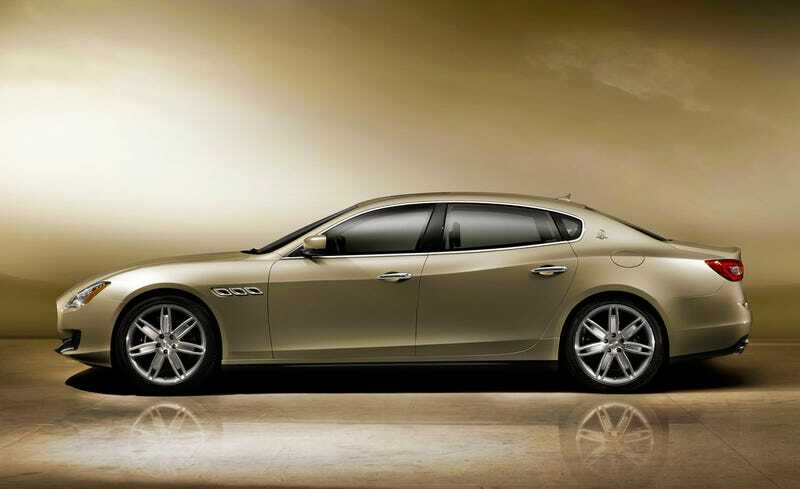 Even crazier is the fact that this sedan (which is longer than an S-Class) is the second fastest factory Maserati ever. The 620hp MC12 had a top speed of 205mph. The nearly decade old GranTurismo still tops out around 188mph and, more incredibly, still uses the 4.7L NA V8! In fact, it was speculated that the Maser4D would be the fastest 4-door sedan ever! But the 600hp Bentley Continental Flying Spur Speed claimed 200mph and shut up all those discussions. However, for an incredibly brief time in 2013, an Aston Martin Rapide S and Porsche Panamera Turbo S weren’t quite as fast as the heaviest vehicle in Maserati’s line up!